Let’s think about opening day. I wrote a little questioning our campfire last year, but now I want think a little broader. We, at Stomping Ground the camp I help run, start each session on Sunday afternoon, one week sessions, and about half the kids stay over the weekend. Quick schedule below. First- What is the point of opening day? But for real, it often seems like the goal of the first day of camp is just to get through it so we can get to the good stuff when camp really starts Monday morning. Maybe we should just start Monday morning… OR maybe we should just make Sunday more like the rest of the week. 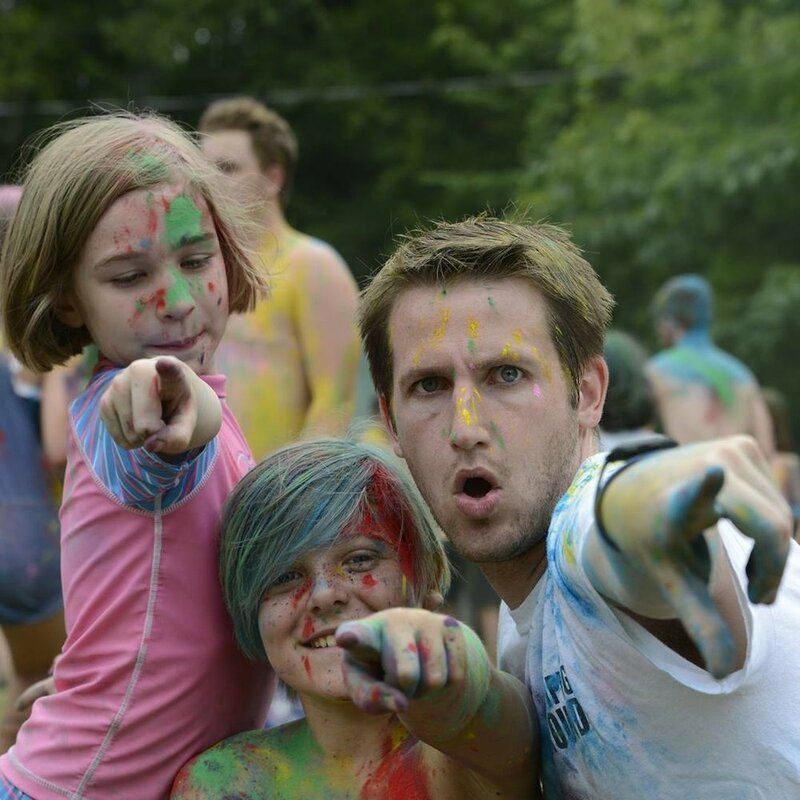 That is what we do at Tall Tree, a camp for kids with autism that Sylvia runs. Sylvia is also running an Inclusion Specialist Training for us. It is also what we did the first summer of Stomping Ground. Just start activities basically as soon as kids arrive. What is the point of opening day? Those are the tangible things, but the crux of what we want is for kids to feel comfortable and excited about being at camp and start getting to know each other. What would it look like to do that differently? Let’s ignore some logistical problems for now and just try a different schedule for after kids arrive…. 8:15 pm - Bedtime stuff ← need to look closer at all of this later too. No time for village cheers. Do we care? What happens when kids arrive late? ← some always do. What happens at Bed Time? To make a little memory with the kids in your cabin. Build a bond between the campers and the staff. What if we make up 20 mini adventures that cabins could go on? Then from the campfire each cabin goes on their adventure and meets back up in the village for night time stuff after their adventure ends. Then each staff could easily make their own cabin time up, but having an easy choice for folks would lower the difficulty to get started and raise the floor for the activity. The big problem I see is around the lack of choice here. For all our other activity times there is a huge amount of choice. Kids can go to Downtown Stomping Ground or pick different options. Where would this be the biggest problem? Older kids. Ok, ok, ok.
We don’t typically have age segregated programming except for sleeping, but if we are going to have them stay in their cabins anyway what if we do things a little differently based on village? We have four villages based loosely by age. From youngest to oldest, Explorer, Viking, Robinhood, and Pioneer. What if Pioneer always went somewhere for a village event that had some built-in choice, hangout time, and maybe a conversation about how they are leaders at camp? How would that play out in Robinhood? This is hard to say because we are expanding capacity in Viking and Explorer and I am not sure what the age breakdowns will be, but I think it could work pretty well. One of the keys I think would be that it was a small group on the adventure so getting out of the main field would be important for most groups. What could some of the options be? What could people do in the dining hall? These still need a lot of work, but I bet we could just ask some of the staff to make some up this offseason. To simplify, we make a signup list for staff that gets passed around during the Sunday big staff meeting with supplies that we order for each week. We always order ice cream, cake making stuff, whatever to be used on the first night. Plus snacks for Pio in the Lava Lounge. This way it gets systematized and if people want to do special stuff that is awesome, but at least we have a base. The new setup would be a pretty simple change. More choice before dinner and a fun cabin activity with a lot of snacks likely after dinner and village meetings moved to Monday. WHAT DO YOU DO FOR OPENING DAY?! WHAT HAS BEEN AWESOME? Did you know Kurtz and I put up a bunch of free staff training sessions, all camp games, and more? Check em out.